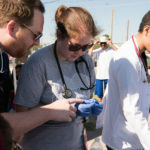 About 200 Texas Tech University Health Sciences Center El Paso (TTUHSC El Paso) medical students participated in community service events on Saturday, Sept. 15, as part of the annual Corazón de Oro (Heart of Gold) community outreach event. 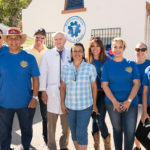 This year’s Corazón de Oro honored Kharisma James, who graduated from the Gayle Greve Hunt School of Nursing in May 2017. 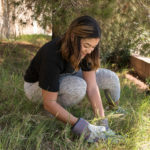 James passed away Aug. 13 after being struck by a car while picking up her children at Tippin Elementary School in El Paso. 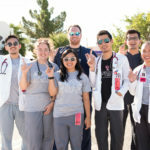 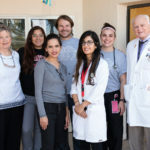 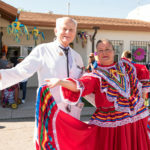 Organized by TTUHSC El Paso’s Student Government Association (SGA), Corazón de Oro 2018 included students from all three TTUHSC El Paso schools—the Paul L. Foster School of Medicine, the Gayle Greve Hunt School of Nursing and the Graduate School of Biomedical Sciences—in an effort to give back to the community. 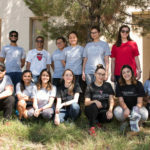 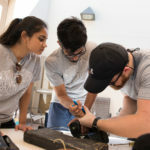 The students volunteered at 13 different sites, including the Center Against Sexual and Family Violence, Compadres Therapy, GiGi’s Playhouse and the El Pasoans Fighting Hunger Food Bank. 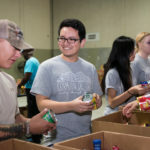 SGA President Sajid Leelani said events like Corazón de Oro help bring the university together through a shared spirit of philanthropy. 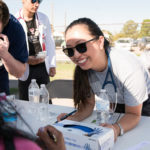 “It’s just a really good reminder of why we’re getting in this career,” said Leelani, who helped give physicals to Special Olympics athletes. 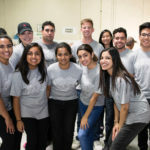 In El Paso’s Lower Valley, Naina Bains and Christy Lukose volunteered at El Pasoans Fighting Hunger Food Bank. 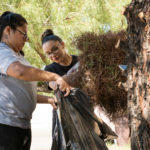 Volunteering also helps the students feel a sense of belonging in the El Paso community.